The Virtual Telescope Project visited this recently discovered supernova in the PGC 170248 galaxy. 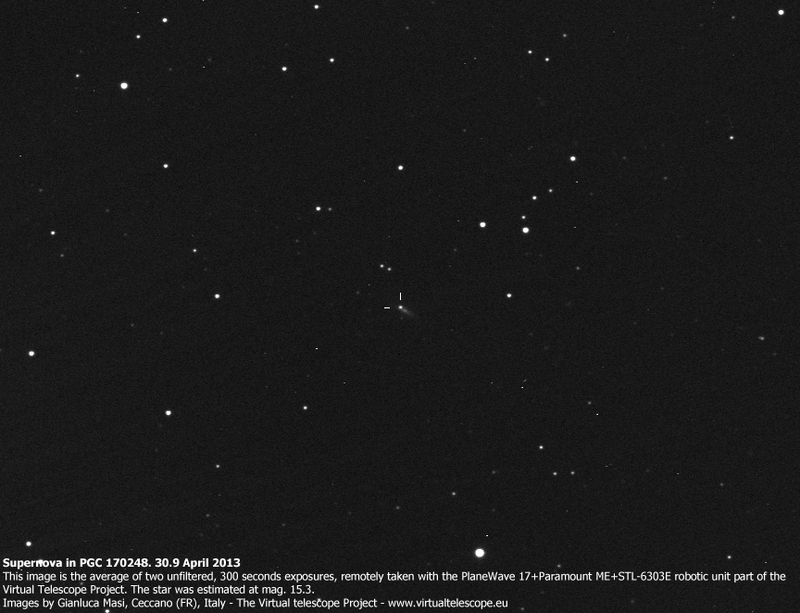 It was remotely captured by the 17″ robotic unit part of the Virtual Telescope Project. It was found quite bright, shining at magnitude 15.3, unfiltered. At the imaging time, the type was still unknown.